I know we decided as a class that we would try to apologize less, especially when it comes to emotional outbursts, so I’ll just say a big thank you to everyone for being so great today when I burst into tears. We’ve really created a safe space and I’m very proud to be a part of it, and look forward to creating a similar space in my classroom. I’m still not sure exactly what tipped me over the edge, except that I had a similar response while working my way through Mindset, and I think it ties into what this post should be about. I don’t think any one person ever told me that. It was something I internalized without even realizing it. I was almost effortlessly good at English, and stuggled at Science and Math–something I’m only now realizing in the course of these classes was because I’m a very visual/story-based learner and other subjects, especially math, were never presented to me in a way that was accessable. I got a 195 out of 200 on the math praxis. And still I told myself it was a fluke–a little bit of studying but mostly sheer dumb luck. But where was that Statistics Prof to remind me that the probability of scoring so high at random is astronomically small? So I’m realizing…really belatedly…that I’ve had a lot of teachers who never tried to reach me, or learners like me, and it hurts. But I’m ALSO realizing that I have a duty to not let the same happen to my future students who struggle with English, and find Math or Science a breeze. “The courage to teach is the courage to keep one’s heart open in those very moments when the heart is asked to hold more than it is able,” as Parker Palmer says. I need to be the compassionate teacher I didn’t have as often as I should have when I was in school. I just need to be brave. I can’t say enough about how much I’ve learned in these past three weeks. Project-based learning makes so much sense in a so many ways that I find myself frustrated with many of my past teachers who were much bigger fans of memorization and lectures. And I can understand where both have their place, but to use solely one or the other seems dangerous when the potential for leaving behind kids who don’t learn well under the method presented. I do feel like I learned a lot from the other students in my class, and I learned a lot about myself. This is the kind of environment I hope to emulate in my future classrooms–all classrooms should be a place for open and respectful discussion and learning. On top of this, I think the approach of working smart to avoid burnout is a really good one, and creating student-driven projects has the double bonus of forcing students to learn along with you, rather than watching you tell them what you’ve learned. It’s the same adage for writing: show, don’t tell. I look forward to helping students build their skills for learning. One critique is that I do wish we’d been able to present our regions’ intros to the class, to show what we’d learned but also to see what other people had learned too. I think I learned a lot about Southeast Alaska but not much about anywhere else. So that would be one thing I hope future classes get a chance to do. But seriously, thanks for the experience. I can’t believe how much we got done in three weeks! I think understanding culture and recognizing disparaging power structures is crucial to being an effective teacher. If we are blind to these issues we will consistently see failure where there’s simply a lack of scaffolding or support, and we will do a disservice to our students and ourselves. White privilege: A lot of people underestimate the extent of their own privilege, and don’t pay attention to the ways their lives are made easier simply by existing in a recognizable and highly prized demographic. It’s necessary for us to acknowledge the places where we succeed due to our race, but more importantly it is our duty to use our place of privilege to fight these injustices and bring these problems into the light. Boot straps: Until this class I hadn’t thought of this phrase as anything but a positive–the concept of being able to pull yourself up again after being knocked down has always seemed very self-empowering. But it’s again a point of recognizing that bootstraps are a privilege–I might have them but someone else might not, or mine might be made of steel cable and someone else’s might be made of spaghetti. It’s foolish and harmful to expect someone with spaghetti bootstraps to be able to accomplish the same as someone with steel. There’s also nothing in this analogy that speaks to helping other people after they’ve fallen, or allowing yourself to be helped. My job as an educator is to lend a helping hand and/or spare bootstraps to my students, helping them navigate the pitfalls of a society that is often willfully blind in regards to metaphorical footwear. Influence: Influence comes from all aspects of life. People are influenced by the music they listen to and the movies they watch, the advertisements they see and the way their culture is (or often isn’t) represented in society. Kids are influenced by parents, friends, and teachers–my job is to make sure I am a positive influence in their lives and provide them with opportunities to make up their own minds for themselves. My plan of how to teach in the coming year boils down to making sure my students are aware of the ways society wants to control them–not in necessarily a negative way, but just to shine a light on situations so they can make conscious and informed decisions about what they want to do and why. I think especially in the Mat Su valley where there is no strong Alaska Native influence it’s especially crucial to remind students of the respect they need to show to these cultures that are grounded in the state they live in. I’ll definitely be using the lesson plan I created for this class and many more to incorporate Alaska Native culture into my classroom to keep working on their understanding and respect of cultures that are potentially different from their own. Right off the bat I talk about how cultural context is often skipped over even in teaching “the classics,” and frame this lesson as a building block of critical thinking and interpreting cultural value based on context clues. I ask the teachers to start with a video made by Alaska Native students which relays an oral history of the Golden Spruce and tell the teachers to stress to their students how very real the Golden Spruce was to make sure the classroom understands the importance of the stories they’re about to experience. Treating these texts as valuable contributions to a learning experience is key to being a culturally responsive educator and a decent human being. In the next part of the lesson, students are asked to prepare a short play of their group’s version of the Raven Steals the Sun myth, without knowing the other groups have a variant on the same story. Performing the plays will really highlight not only the differences inherent in the text but also the way the students interpreted the myth. This and the discussion following (in which the class verbally compares and contrasts the myths while talking about the cultural values that might be represented) is the part which really expands a student’s worldview. The skills these students will learn in deciphering cultural context through literature will be invaluable throughout their academic career–and just highlights how important this standard is in teaching. 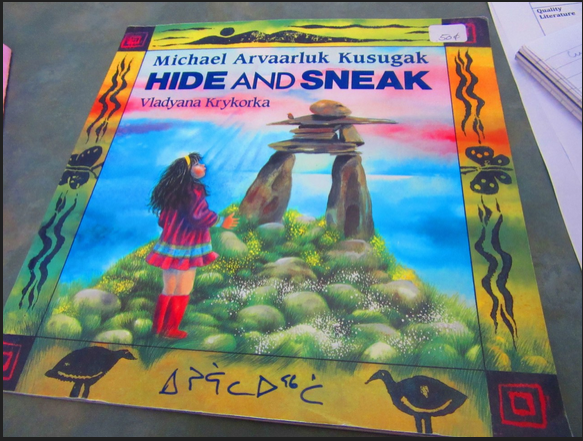 As soon as I saw Hide and Sneak by Michael Arvaarluk Kusugak I was transported back to my own home and the small shelf that now serves as place of pride for our most cherished childrens books. 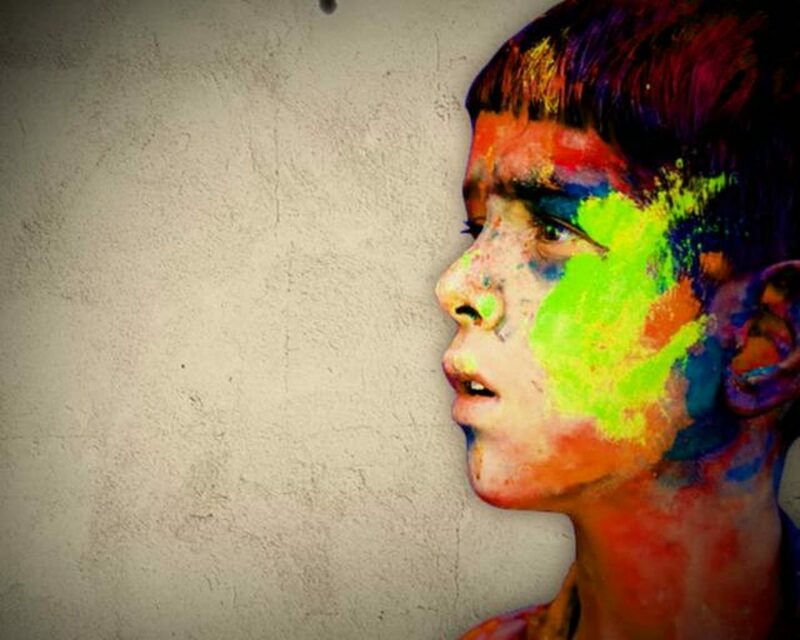 As a kid I was captivated by the vibrant colors, and intrigued by the way the little girl found her way back home. Rereading the book as an adult was very enlightening–I recognized more of myself in the somewhat spacey girl who is directionally challenged but loves a good adventure. But more than that, I could see where echoes of more widely taught mythology surface in this cautionary tale. ‘Don’t get lost or the Ijiraq will hide you from us forever!’ is exactly the kind of story parents would tell their kids to keep them close to home, where the dangers of the natural environment are less likely to claim their lives. I think it would be really easy to take this book as a jumping off point into cautionary tales as a genre, drawing on the class’s previous knowledge of stories they were told as kids to keep them safe, maybe segueing into the myth of Orpheus and comparing the two. Actually you could take the lens of more common understanding of myth structure and look at the ways this story differs–the girl doesn’t become more focused or better at hide and seek by the end of the story, she isn’t permanently punished for disobeying her parents, and most uniquely she saves herself entirely on her own! She figured out the Ijiraq didn’t like being stared at, and she found her way back to the village by following the inuksugaq without being told what it was for. Overall I think this book holds up very well, and would be a good companion to a number of Lit classes. I’m excited by the prospect of using this unique tool in future years of teaching. Our group had a piece on recognizing that every white person is living with white privilege, consciously or unconsciously, and it’s our responsibility as educators and as people to ‘unpack the invisible napsack,’ as the author put it, and make sure these ‘expectations’ we have are acknowledged as not being universal. It’s also our responsibility to call out injustice where we see it and use our place of privilege to provide a platform for their voices to be heard. It was interesting to see how we all reacted to the realization or further understanding of how we can be unconsciously harmful to other people by not acknowledging our place of privilege. The discomfort is immediate and completely understandable–no one wants to be considered racist, even (maybe especially) accidentally. But it was also very clear that for our brief moments of feeling bad, minority groups have to suffer these hurts on a daily, sometimes hourly, basis. They don’t get the option of not thinking about it. We do. I really do think that no matter what subject we teach we have a duty as educators to bring racism into the discussion. And to do our absolute best to represent minorities in our subject matter and in places of prestige–if a student never sees people like her as a doctor or a lawyer, even if no one specifically tells her she can’t be one, it’s so easy for her and others like her to internalize this unspoken message. Our jobs should always be about raising students up, and if that means feeling uncomfortable, then so be it.